The new Hong Kong Bar Association chair has expressed concerns that Hong Kong judges face an upward trend of “unreasonable” criticism from the general public. 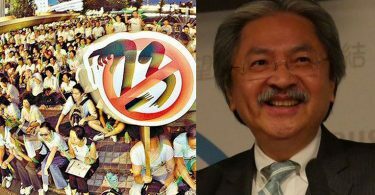 “I am worried – even angry – that judges face an increasing number of unreasonable accusations and criticism, some of which are insulting or threatening,” Paul Lam Ting-kwok, who assumed office last month, told RTHK on Saturday. Paul Lam. File Photo: DOJ. In recent years, judicial personnel have been targeted by groups in both the pro-Beijing and pro-democracy camps. Last February, former anti-corruption official Kwok Man-wai urged the public to dox the magistrate who granted bail to localist leader Ray Wong. 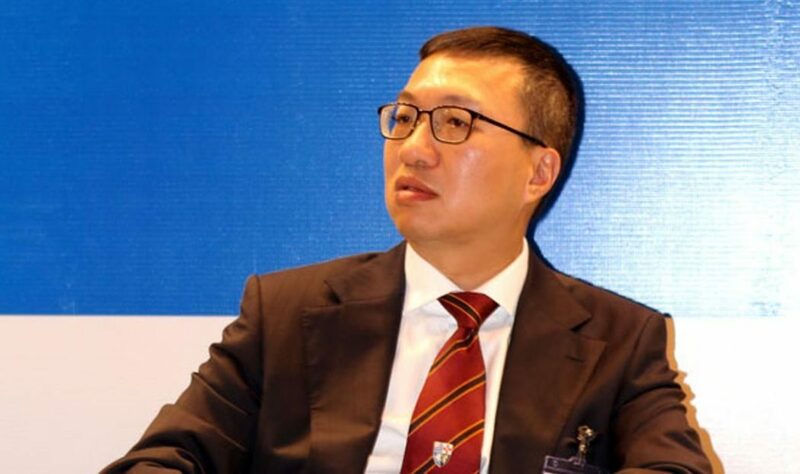 Secretary for Justice Rimsky Yuen said in response that the general public is entitled to comment on judicial decisions, but urged them to respect the rule of law. Doxxing entails an effort to research and broadcast private or identifiable information about an individual or organisation, usually online. A pro-China group protested against Hong Kong judges outside the High Court last year. File Photo: HKFP. Last December, a magistrate who heard cases related to the Mong Kok unrest that erupted last February alerted police after receiving a blade in the mail. In 2015, before sentencing a woman charged with assaulting police officers with her breasts, another magistrate revealed in court that he had been threatened and feared for his safety. Lam said he had never doubted the integrity of judges during his 20-plus years of practice. “They are unbiased and dedicated to their work. They make decisions based on nothing but the evidence before them and applicable legal principles,” he said. He said he was not worried that judges may bow down to outside pressure. “My biggest worry is that if unreasonable criticism and insults are not halted, society will begin to doubt the ability and even integrity of judges… thereby weakening public confidence in the entire judicial system,” he said. 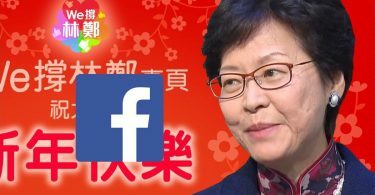 Patrick Ko Tat-pun, an outspoken activist of the pro-Beijing group “Voice of Loving Hong Kong,” told Apple Daily on Saturday that Lam overlooked the fact that some judges are perceived to be biased because their values differ from the values of the general public. Patrick Ko Tat-pun (L) alleged judges are colluded with the rich and powerful. 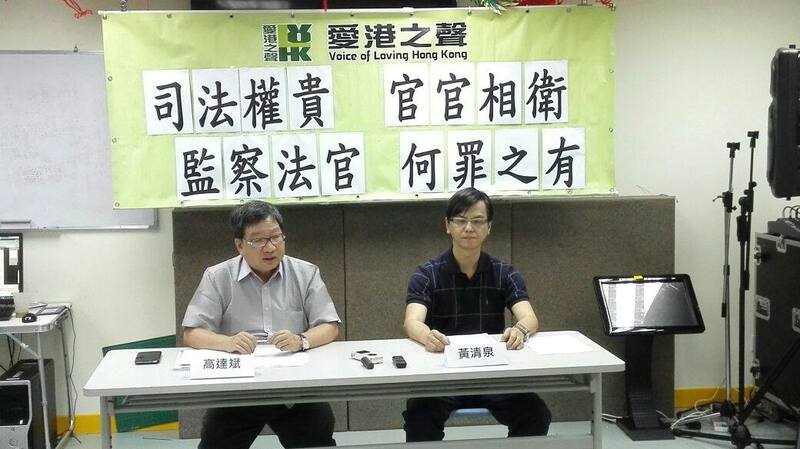 File Photo: Voice of Loving Hong Kong, via Facebook. Ko previously accused some judges of being corrupt and harming the public interest. He said he would not take back the statement. “Their decisions were unfair. Some judges do not deserve respect. They damage the rule of law… that’s why people criticise them,” Ko said. Lam is a senior lawyer at Parkside Chambers. His predecessor Winnie Tam Wan-chi previously warned against perceived political interference in the judiciary.